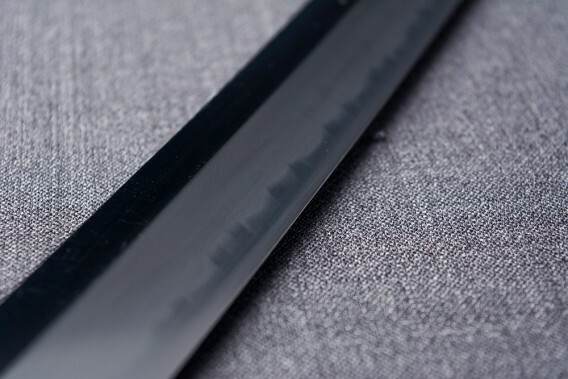 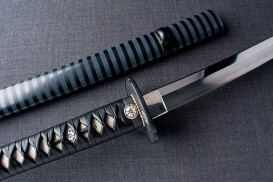 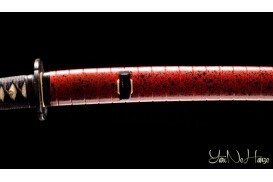 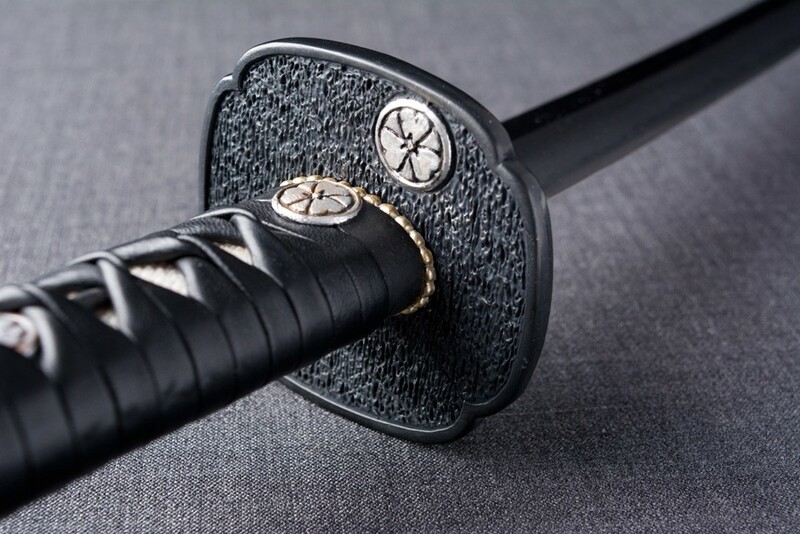 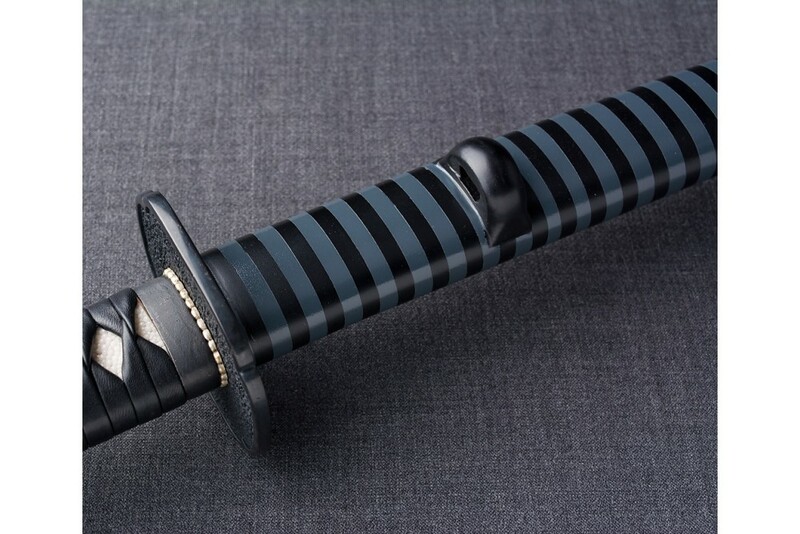 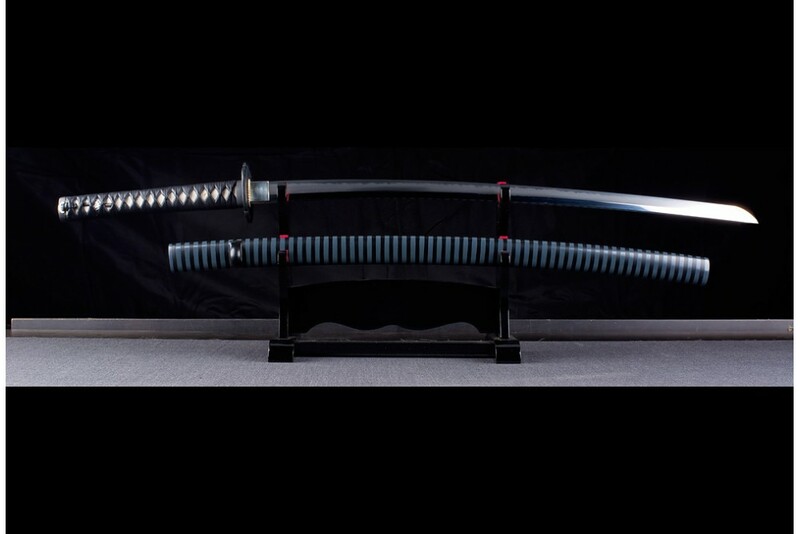 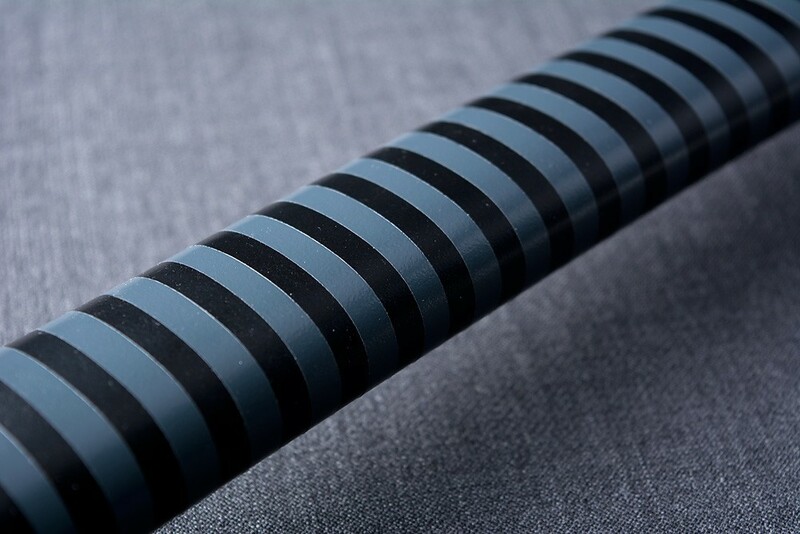 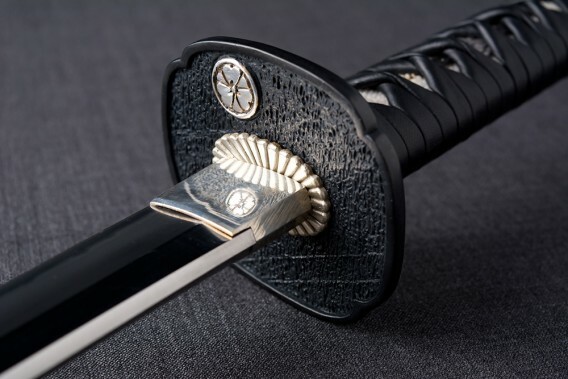 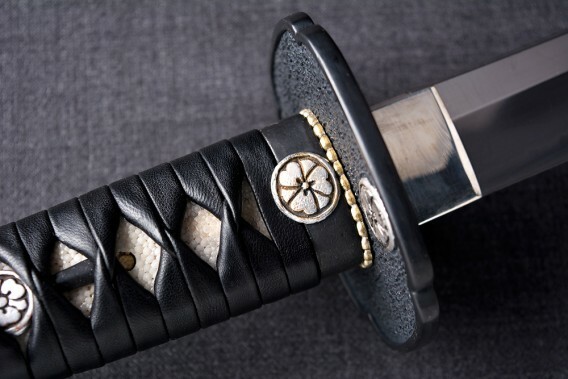 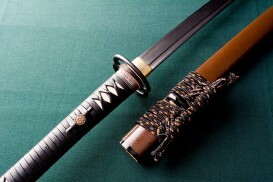 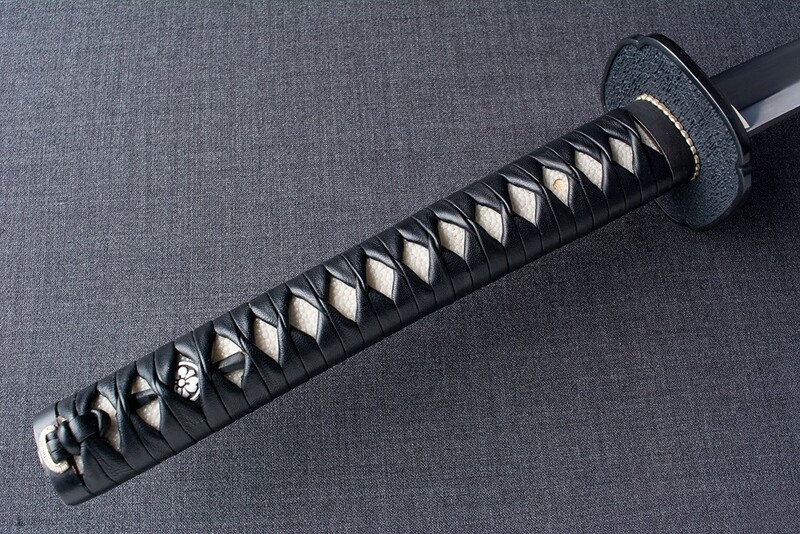 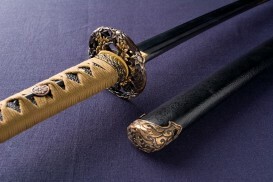 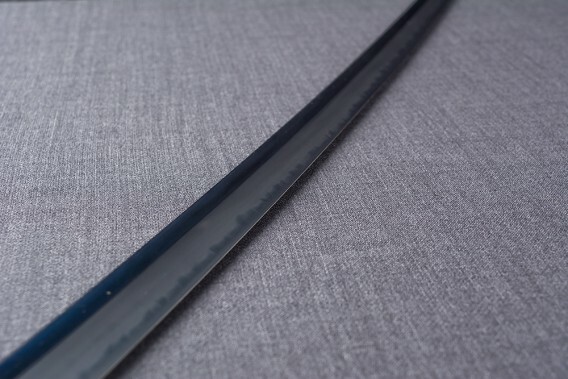 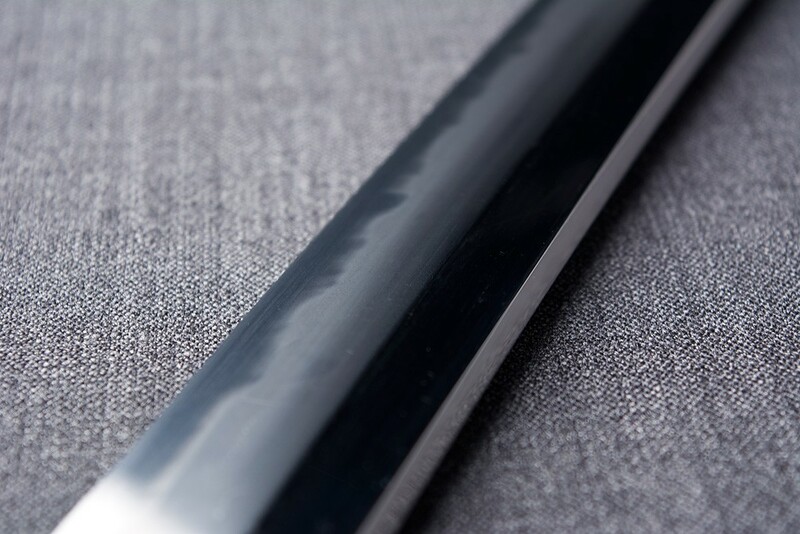 This katana is inspired to those produced in Edo at the beginning of the Tokugawa shogunate. 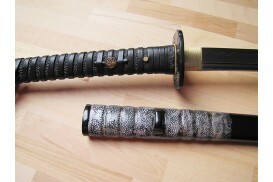 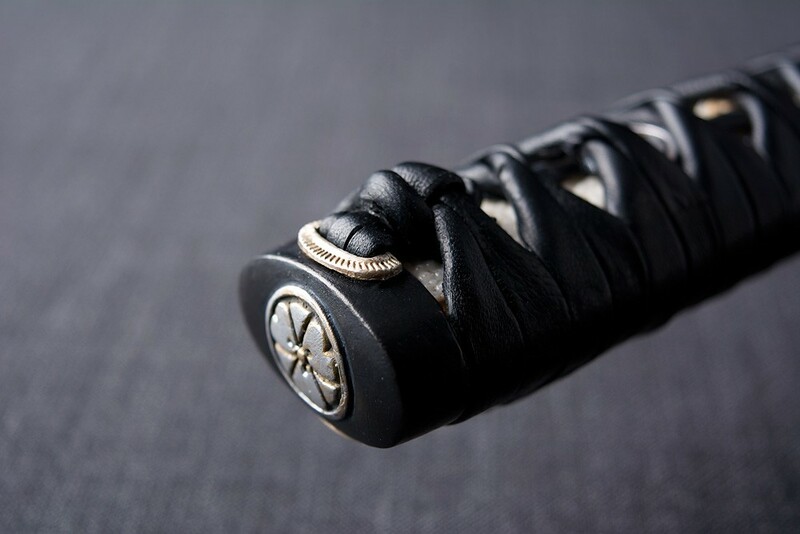 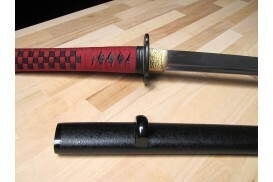 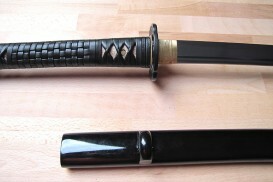 Katabami Clan mon as fuchi and kashira and haichi tsuka wrapped with black leather tsukaito. 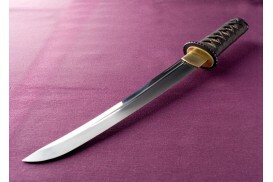 Koiguchi Realizado en hueso, tallado, pulido y envejecido a mano.